With the Wi-Fi iPad approaching its first month on the market—and the 3G-enabled models set to arrive at the end of this week—here’s a rundown of what surprised and disappointed us with Apple’s latest mobile device. Wowed though we were with Apple’s promotional videos of the iPad, seeing (and touching, tapping, and swiping) is believing. Thanks to its larger surface, the iPad and its touch interface feels any more natural than it does on an iPhone or iPod touch. Super natural: Now that iPhones and iPod touches are commonplace, it’s easy to forget just how natural the iPhone interface felt the first time you used it. The iPad, with its larger surface (and, thus, more forgiving nature when it comes to tapping and swiping in the right place) may feel even more natural (and certainly less cramped) than its smaller siblings. A compelling speaker: It’s those initial surprises that make a lasting impression and the one cited often by our crew of iPad owners was the quality of the device’s built-in speaker. Those of us accustomed to the iPod touch’s speaker (terrible) or iPhone’s speaker (less terrible) had little hope for the iPad’s ability to make sound, yet the speaker is quite loud and not nearly as tinny as most of us expected. 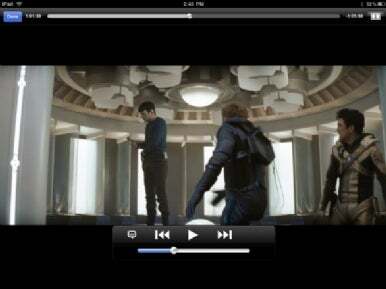 Watch a movie in landscape orientation on the iPad, and the audio will sound unbalanced because of the device’s lone speaker. That said, if one were to nitpick the speaker, it would be to carp about the speaker’s one-sided nature. The speaker port is at the bottom of the device. When you turn the iPad to landscape orientation to watch a video, you hear most of the sound from the side of the iPad where the speaker port sits, making the sound unbalanced. Size matters: The way the iPad’s larger display is put to use—particularly when the iPad is moved to landscape orientation—was also a popular surprise. The Settings, Mail, and iPod apps, in particular, are far easier to use than they are on the iPhone and iPod touch because you can fit more interface elements on screen, which leads to far fewer move-back-a-page maneuvers. The screen’s the thing for gaming: Another area where the iPad’s larger screen pays dividends is for gaming. It’s one thing to say that the iPad is an oversized iPod touch; it’s quite another to actually play a game on this new device. The larger screen doesn’t just mean you can see more of your game, it means that the entire control interface can be dramatically changed. 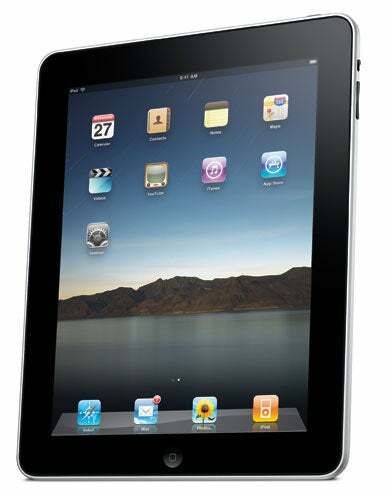 With the iPhone and iPod touch, game makers had to squeeze controls into a small space; the iPad’s roomier interface allows them to offer more buttons, more control, and thus more complicated tasks. A bigger screen gives iPad game makers more room for controls. And that means a better overall gaming experience. Two genres in particular will be better served on the iPad: strategy games and first-person shooters. The larger screen affords a larger battlefield view and by allowing players to control the zoom, they’ll be able to order larger groups of tanks, see greater parts of the map, and have a more exact control of the battlefield. First-person shooters play better on the iPad because the interface is simply less cluttered.The FPS genre is also one of the more graphically intensive, and so far games that have made the transition look a world better on the iPad. More important, they play better, too. Staying put: Speaking of orientation, we give two-and-a-half cheers for the orientation lock switch on the side of the iPad. Now that we’ve become accustomed to a switch that keeps our iPads in landscape or portrait orientation, regardless of how we’ve positioned our iPads, we wonder why this feature wasn’t brought to the iPhone long ago. Why not the full three cheers? Unlike with the iPhone, where the design of the device makes it easy to tell by touch whether the Home button is on the left or right side of the screen, on the iPad it’s easy to forget which way you’ve turned it, thus losing track of where the orientation lock switch is. Keyboard control: Moving to obscure-but-cool observations, it’s nice that when using an external keyboard (Bluetooth or docked) with the iPad, many of the keyboard commands you use to create odd characters on your Mac—©?¡™£¢?¢¬, for example—also work with the iPad. Similarly, the keyboard commands for cut, copy, paste, and selecting text (Shift plus arrow keys) also work with an iPad connected to a keyboard. When you suggest, as Apple repeatedly has, that a device contains a measure of magic, you set expectations on stunning. Do that, fail to deliver that magic at every turn, and owners find fault. As did we in the following instances. No accounts: The iPad’s big screen and touchscreen interface make it an ideal partner for around-the-house tasks—reading books, using educational software, surfing the Web, checking e-mail, playing games. That makes it a tempting target for everyone in the house. But this reveals one of the iPad’s shortcomings: You can’t set up accounts or groups of settings, so everyone has access to all e-mail accounts, the Web, and so on. It would be great if the screen lock let you enter different codes—one for Parent 1, another for Parent 2, another for The Kids—each providing different types of access and different settings. It feels like the ample Home screen space could be put to better use. Wasted Home screen space: The iPad’s Home screen is crying out for improvements. Some have suggested that it’s a waste of space to have such a huge screen with tiny, widely-spaced icons. Worse yet, the number of app icons on each line changes when you switch from portrait (4) to landscape (5) mode, or vice versa, so every app icon but one—the app in the upper-left corner—changes location when the iPad changes orientation. If you normally view your iPad in portrait orientation and suddenly switch to the Home screen when the iPad’s on its side, you have to hunt around for the icon that was once in the second position on the third line of icons. Put that space to work: Taking things a step further, people have asked for a “widgetized” lock screen on the iPhone—a customizable, at-a-glance display of the day’s appointments, new Mail messages, a constant spot for the current iPod track, and perhaps a spot or two for third-party app notifications. It’s something that smartphones have done for ages (and something we hope makes a surprise appearance in the forthcoming iPhone OS 4.0 update as one of those unannounced improvements that occasionally pop up in a final release). The iPad’s super-sized screen all but super-sizes that demand for some kind of customizable options for the lock screen. Giant wallpapers are pretty, but that’s a ton of space that could be used to display useful information without forcing me to unlock and open five different apps just to check on my day. Notifications also seem wasteful in their current implementation. Do we really need modal dialog boxes that take over the whole screen? And if you get a flood of them, they just keep replacing each other. The iPad in iTunes: While the App Store makes it easy to search for apps that have been updated for, or designed specifically for, the iPad, it almost seems as if Apple forgot to update iTunes along the way. If you open the main Apps view (by clicking Apps in iTunes’ sidebar), choose View -> By List, and then enable the Kind column (by choosing View -> View Options), you can see which apps are iPad-optimized—but that’s not exactly user-friendly. Worse, you see even fewer options when viewing the Apps tab for your iPad. In other words, when your iPad is connected and you’re choosing which apps to sync, there’s no way to see which are optimized for the iPad. Similarly, when you sync your iPad with iTunes, iTunes automatically syncs any apps you’ve purchased since the previous sync; it would be useful if you could tell iTunes to sync only new iPad-optimized apps. Safari’s pages: Safari lets you open up to nine Web pages at a time, but due to the iPad’s limited memory, you’ll often find that Safari can’t maintain the content of all those pages; when you switch to a different page, Safari will often attempt to refresh it. This can be frustrating, especially if you loaded several Web pages for offline reading—you end up with blank pages. Safari’s missing tabs: While we’re on the subject of Safari, why is it that the third-party Atomic Web Browser app can use tabs but Apple hasn’t brought that feature to its own mobile browser? In many situations, tabs are far more convenient than the Web pages Safari stores. Whoops: The iPad is certainly sleek, but it’s also slippery. Apple’s case makes it easier to securely grip the iPad, but it adds heft. A few strategically placed ridges would help. It's lighter than a notebook, but the iPad still has some heft to it, especially when you’re holding it up to read. The heft: At just a pound and a half, the iPad is certainly lighter than a laptop. Then again, it’s the rare individual who holds a laptop in their hands while working with it. In many cases you can put the iPad in your lap or work with it while docked in a stand. But what about those who read in bed? We’re not all cut from the Mike and Carol Brady cloth—sitting bolt upright in bed, chastely reading improving books. If, like many people, you prop your head up with a pillow or two and hold a book in front of your with arms cocked at the elbow, your arms and hands will tire after a chapter or two. The shining: The iPad’s screen can be quite bright and, thus, overcome its reflective glossiness. But not always. In apps and videos with dark backgrounds or when reading outdoors in sunny weather, the screen’s reflection can be distracting. But there were times when we were out and about that we really could have gone for some network connectivity, only there was no Wi-Fi to be found. Many of the iPad’s strengths depend on its ability to get online—as such, limiting yourself to Wi-Fi-only connectivity can be a hassle, particularly if there’s something you want to do (or someone you want to impress) that requires a network connection. Many iPad-toting Macworld staffers are looking forward to Friday when they can trade in their iPads for 3G-equipped models with AT&T’s cancel-at-any-time service contract; we expect more than a few readers will feel the same. Apple has told us time and again that the iPad was designed as an in-between device, meant to nestle between the iPhone and MacBook. Given its neither-fish-nor-fowl nature, one could reasonably expect surprises—those that delight as well as disappoint. Given that many of our misgivings about the iPad are based on application and OS design, we hold out hope that the solutions to our gripes will be addressed in future updates. Dan Frakes, David Chartier, Dan Moren, Chris Holt, Rob Griffiths, and Christopher Breen contributed to this report.